The damper motor is fitted with a universal spindle clamp for quick and easy mounting directly on the damper spindle. The actuator is supplied with an anti-rotational strap for fixing it in position. We generally use 230v power open/close dampers, but we can also supply modulating damper motors. 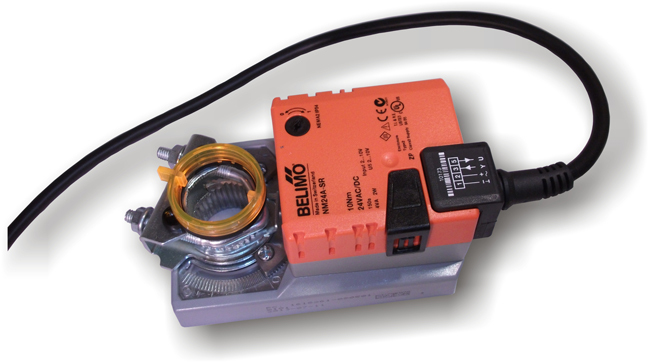 View more of our HVAC control system accessories here. Have a question about Sarum Damper Motors? Please fill out the form below and we will get back to you.